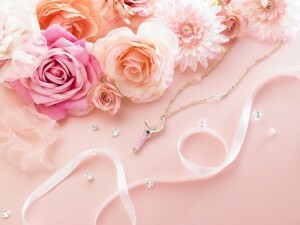 The second year of the Official Sailor Moon Fan Club will be from July 1st 2017 to June 30th 2018. Pre-orders for new memberships and renewals are now available for fans in Japan and around the world. 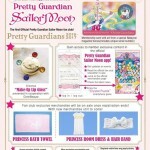 New and returning fans will get a new membership card and an exclusive Moon Stick pendant. Fans who are renewing are also going to receive a stationary set. Overseas fans will also have access to the Fan Club App and site though it will remains mostly in Japanese. 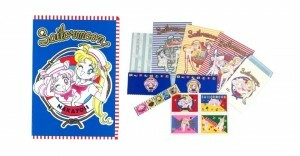 Elaborate instructions for signing up to the Japanese fan club site are included. Though it’s stated that you will get such an e-mail in the future, I was able to use the link mentioned in the document to sign up for the fan club with the e-mail address I used for my Tokyo Otaku Mode account. I tried to use a dummy account I made for my cat to do the same but I got an error stating that the e-mail address was not found, so a membership does appear to be necessary to get access to this site. Current English language versions of the newsletter were available once I logged on to the site. 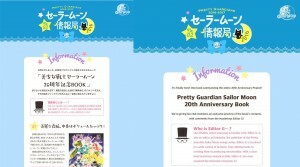 These are the same as the Japanese newsletters, which are also available, but they are posted months after the fact. A comparison of the most recent newsletter appears below. The full newsletter is just a large jpeg file. Fan Club membership for the year is $58 US. I can’t say I was terribly excited by any of the Fan Club exclusives I had the option to get last year. My lip gloss is sitting in its original box. 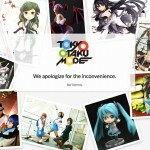 I’ve still pre-ordered my second year membership from the Tokyo Otaku Mode site. It’s a bit of a gamble on my part in the event that some of this year’s exclusives are of interest to me. The exclusives aren’t expected to ship until October so there will be quite a wait for that. Do you plan on signing up for the Fan Club or renewing your existing membership? 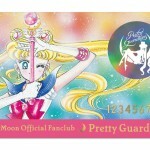 Registration for the Official Sailor Moon Fan Club is now open to international fans. For real this time. 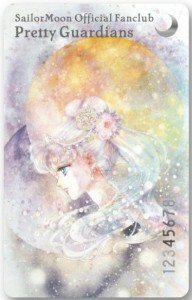 This entry was posted in Fan Community and tagged Moon Stick, Official Sailor Moon Fan Club by Adam. Bookmark the permalink. I don’t know how to renew. To be honest this club sounds like a rip-off. But maybe it will lead to better things one day, who knows. I don’t regret signing up last year, but I think I’ll pass this go-around. Ok so riddle me this… In Sailor Moon Crystal all the four generals (the four kings of heaven) are brainwashed by Beryl but really they were once in love with each of the sailor scouts and were knights of Endymion. I knew that the generals aligned with the scouts much the same way the black moon sisters align with them. But I also was thought that Zoicite and Malachite were in love. Was that just in the Japanese original anime? Was it in the original manga? Or did Sailor Moon Crystal get rid of that relationship? Because I always loved that they were in love. It was 1. a gay romance and 2. evidence that even in the Negaverse there was romance between villains. Can someone clear this up for me? Malachite was called Kunzite in the original. In the manga he is not in any known sexual relationship with Zoicite, it fact, I believe it was stated they are more like brothers in the materials collection. The Crystal follows the manga storyline but really doesn’t reference any relationship for Zoicite beyond the one hinted at with Mercury. The 90’s anime had its own thing going on. Zoicite and Kunzite were made out to be lovers and they were given expanded storylines. Zoicite’s gender was changed to female in some dubs. Zoicite and Kunzite were most probably straight in the manga and Crystal while in their 90’s anime incarnations they were almost certainly intended to be gay. Thanks for posting this. I didn’t get an email from Otaku Mode to renew my membership so I was worried they were all gone but it looks like I got it. This isn’t the first time they haven’t emailed me about an exclusive item for my membership. Very disappointing.